This is a modern day Rocky Balboa sports story. The guy with all the raw talent in the world but doesn’t know it, gets pulled aside by his big brother and told to do something with it. And at the age of 30, Chris Michalak is finally doing something with it. Stepping into Chris’s house you’re immediately greeted by his quiver of four surf boards. The four locally shaped ASI boards he will take around the world with him and compete on the 2017 QS. But, more about that later. Chris doing adult things, in the kiddies corner. Chris Michalak was a promising junior surfer. He started surfing at age of 5, and was a natural from the get-go. At one point he was ranked inside the top 15 juniors in the country as a grom. As a 15-year old and with classic sponsors like Pacific Dreams, MCD (More Core Division) and Kuta Lines, Chris was winning everything on the Central Coast against the open men, no less. Right when it appeared he could knuckle down on the QS and qualify for the CT, Chris turned his back on competitive surfing. Hanging with his mates, girls and parties and earning money floor tiling, weighed up against the expense of competing on the QS in junk waves and all of the travel time away from home. With those options at his feet, Chris chose home and his mates. 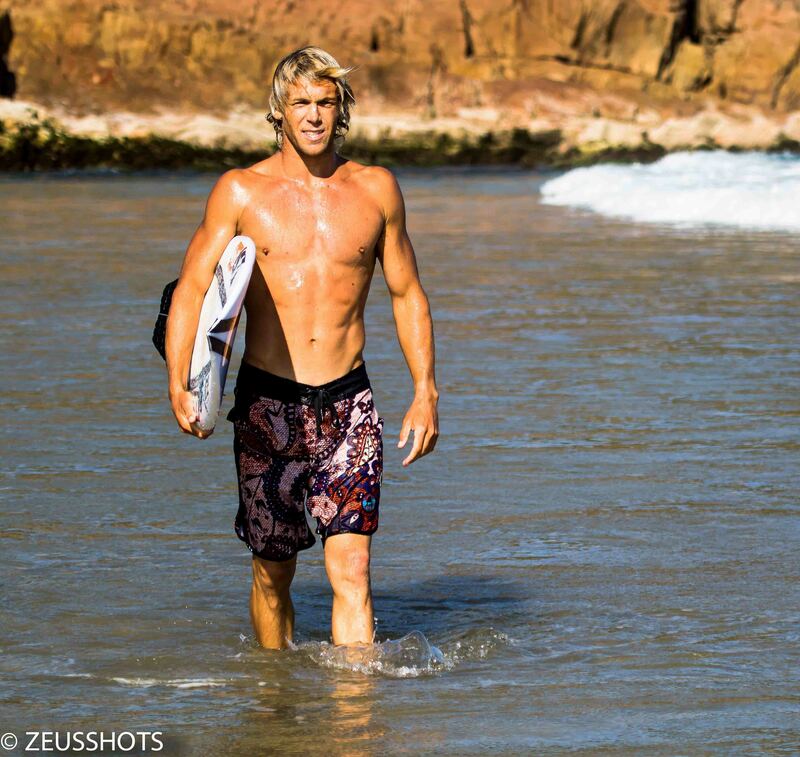 One of those good mates he surfs with is none other than Craig Anderson. Ando recalls Chris being on the Haydenshapes team when Anderson joined over 10-years ago. The two have remained tight ever since. At home, Chris reaches for the ceiling while Ando watches on. Late last year, only semi sober, standing on the golden sand of Kiama Beach, Chris finally started wondering what if. It was at the Teams Challenge and Chris had surfed all day. A day with which he rocked up to the beach with a six pack under his arm. Slowly sipping down a coupla beers on the back dune when his name was called, he slung on his singlet and grabbed his board. He then proceeded to wipe the floor with everyone he surfed against. His big brother Luke, pulled him aside after the Teams Challenge, and told him to stop being a clown and come train with him. By the end of the day’s surfing Chris started to believe maybe the ‘what if,’ can be ‘why the hell not’. Standing on the sand, dripping wet and exhausted from his last heat, Chris declared he was all in. Luke told him it was a 6am start the next day on the sand dunes, and that was eight months ago. Chris hasn’t missed a training session since. Luke operates the Port Stephens surf school, and he does things a little different. A regime of Olympic rings, dune running and Thai boxing. The explosive core and shoulder workout of the rings along with Chris’ natural talent has him primed to make some noise in 2017. Luke adds, “All Chris has ever needed was belief. He has an amazing style. The kind of style you can’t teach. 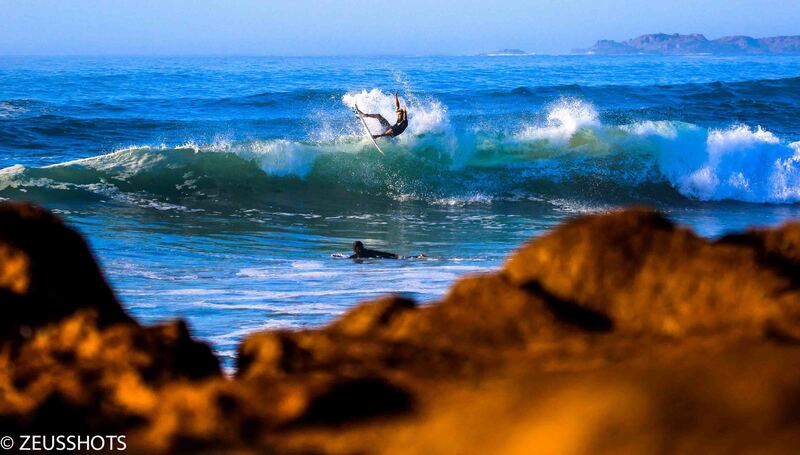 His bottom turn just oozes with it.” And it’s true. When photos of Chris landed on Surfing Life’s desk, we immediately thought – Heath Joske soul arching his way through J-Bay. We’re not the only ones impressed. Chris and his soon to be trademarked style, taps one off the top. At the age of 30 Chris is going all in to qualify for the CT. By saving his money from floor tiling from the last few years, Chris will self fund his way to the USA after the Australian leg of the QS tour. Chris is hoping to compete in around 20-odd QS events this year, and with an estimated cost of around four to five grand per event, and no major sponsor, he needs our help to make his dream happen. Even though he’s 30, with guys taking care of their bodies the way they are now, their surfing prime is extending well into their late 30’s, and in Kelly Slater’s case, mid 40’s. Chris still has plenty of time to not only walk through the doors of the WSL, but to smash some windows and stain the carpet once he’s inside. 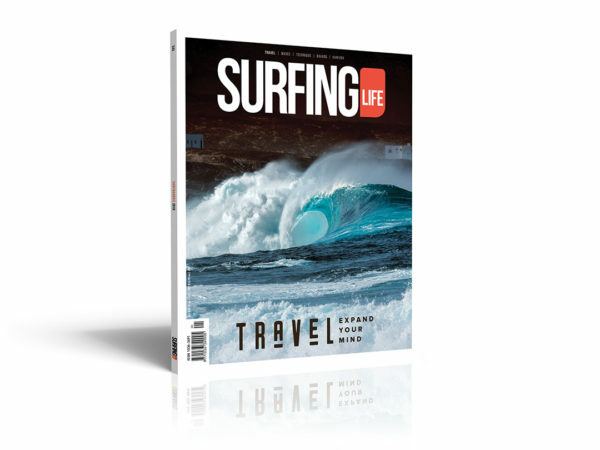 If you want to be a part of this modern day surfing fairy tale. You can help by heading over to the GoFundMe page set up by Chris’ girlfriend, Kia. The more money raised, equates to more events Chris can surf in. Then all you have to do is sit back and know you are a part of something that’s going to be pretty special.